Recent couple Blake Shelton and Gwen Stefani attended a wedding over the weekend. Country-music star Shelton, 39, and pop star Stefani, 46, who are both mentor/judges on “The Voice,” were at the Nashville venue The Loveless Barn on Saturday, where Shelton’s stylist, Amanda Craig, wed her fiance, Joel Borski, reported E! News. Shelton was in the wedding party as a groomsman, with Stefani as his guest. 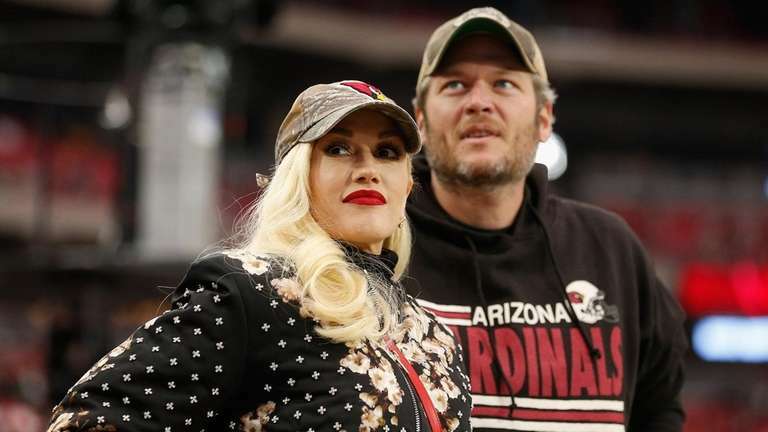 Shelton and Stefani had been in Nashville together shortly before Christmas, when the two threw an ugly-sweater party to help celebrate RaeLynn’s engagement to longtime boyfriend and financial adviser Josh Davis, E! said. Craig, who is also RaeLynn’s stylist, attended as well. People magazine said that the night before the wedding, Stefani and Shelton had dinner together at the Nashville location of the O’Charley’s casual-dining chain. An Instagram user going by RPPOfficial posted a photo of Stefani there with her arm around Shelton, captioned, “Eating dinner last night, and the Royal Couple showed up,” the magazine said, though the user has since removed the image. Shelton’s representative confirmed on Nov. 4 that the country singer and Stefani had begun seeing each other. The couple spent Christmas in Shelton’s native Oklahoma, said E!, and later attended an Arizona Cardinals game in Glendale, Arizona; visited Anaheim, California, where Stefani, born in nearby Fullerton, was raised; and went wine-tasting in Buellton, California, west of Los Angeles.